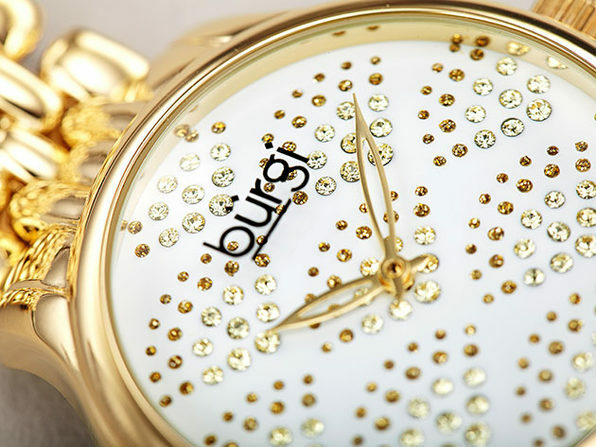 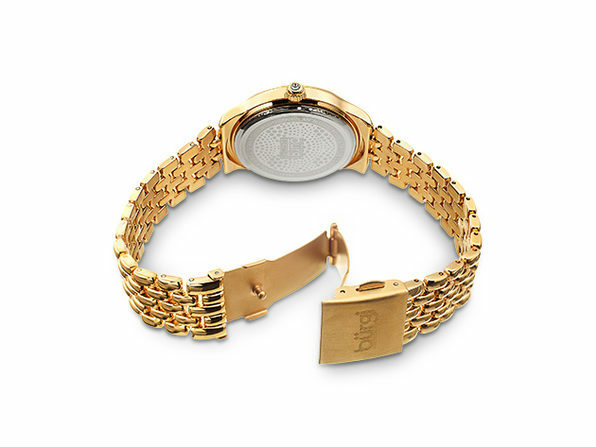 This beautiful and unique Burgi timepiece features a high-polished case with a gorgeous dial design. 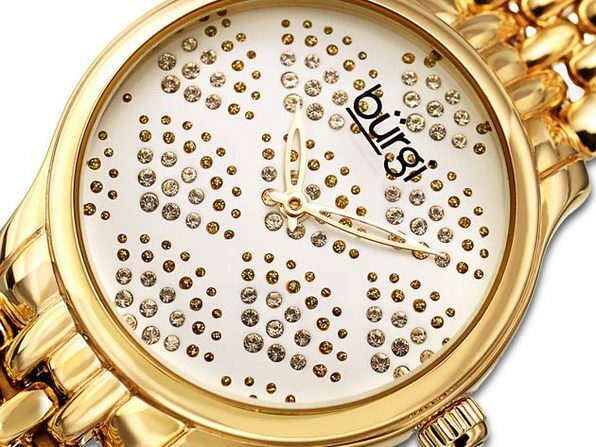 A series of hand-applied dots create a one-of-a-kind fan design that makes this watch both fashionable and professional. 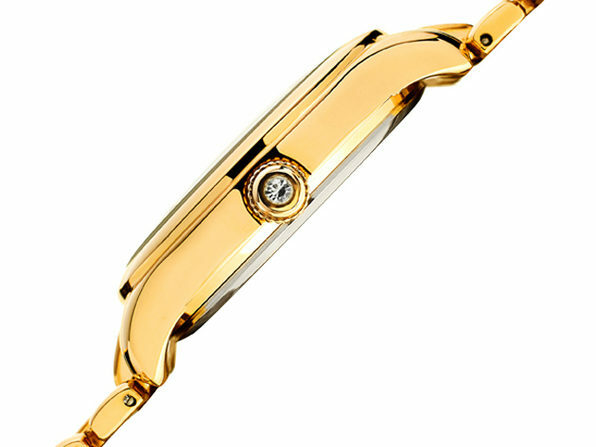 It's powered by a two-hand quartz movement, and the case is completed with a high-polished bracelet. 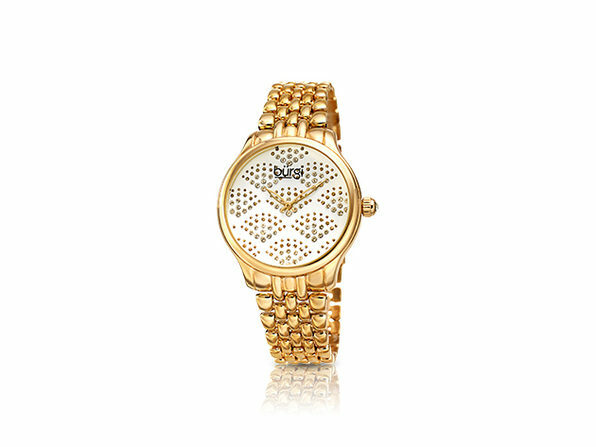 Make a statement to be remembered with this elegant watch.